Bloc Projects (Sheffield) and Mark Devereux Projects (Manchester) are delighted to invite individuals, artists, groups and companies who are in some way connected to the steel industry in Sheffield to Steel Experiences, a special event at Bloc Projects on Saturday 20 June (3pm) part of this year’s Sheffield Design Week and Connected Communities Festival. 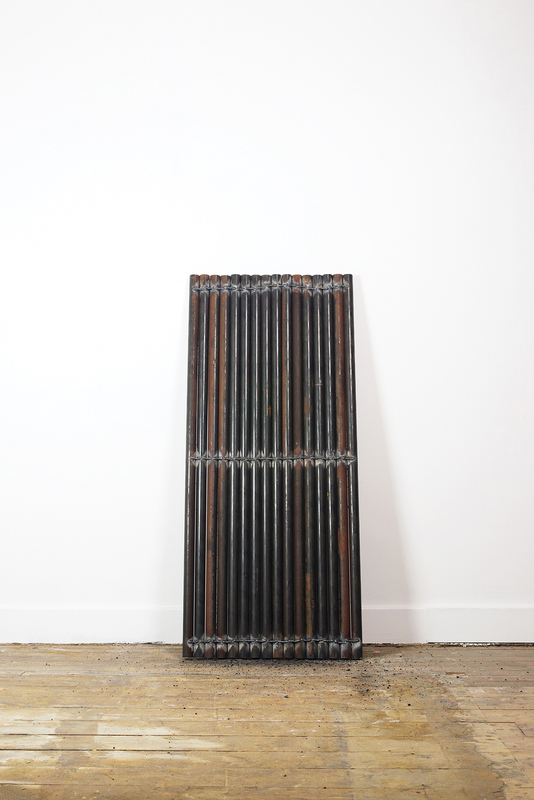 Artist Nicola Ellis is currently developing techniques within welding and steel fabrication, to create a series of new art works for her forthcoming exhibition at Bloc Projects. Interested in the culture surrounding the steel industry, welding and bespoke production, she aims to encourage discussion between those who are central to, or on the periphery of this culture, past or present. This will enable Ellis to learn from your individual experiences whilst uncovering common ground between visitors at the event. Sheffield is a place brimming with manufacturing, so if you are not involved in the steel industry but have connections to industrial or bespoke manufacturing, we would like to meet you too. The results of the conversations on Saturday 20 June will be compiled and used to inspire the work Ellis makes for her forthcoming exhibition. The event is free to attend. For further information and to RSVP please email Mark at [email protected]. Sheffield Design Week is a citywide celebration of design in all its forms. The Future Works strand of the Arts and Humanities Research Council (AHRC) Stories of Change project, based at the School of Architecture, University of Sheffield, aims to uncover stories about the relationship between energy, industry and landscape in the English Midlands. One Great Workshop will focus on the stories of Sheffield and include an exhibition, talks, walks, workshops and activities linking visual art and design with a focus on energy and making. The Arts and Humanities Research Council (AHRC) Connected Communities Programme aims to build powerful collaborations between researchers and communities to generate distinctive research insights on the changing role of communities in sustaining and enhancing our quality of life and to produce legacies of value for both future research and for communities. The Programme is led by the AHRC in partnership with other Research Councils and a range of other organisations.